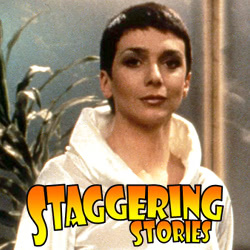 Staggering Stories Podcast » Blog Archive » Staggering Stories Podcast #298: Maximum Power! « Staggering Stories Podcast #297: Who Reacts to the Reactors? This entry was posted on Sunday, September 23rd, 2018 at 10:00 and is filed under Blake's 7, Doctor Who, podcast, review, Sci-Fi, staggering stories, Staggering Stories Podcast, Staggering Stories Regular Podcast, tv. You can follow any responses to this entry through the RSS 2.0 feed. You can leave a response, or trackback from your own site.